How Welsh medicine helped to create America! How is Welsh medicine linked to the establishment of a global superpower? On the face of it the two don’t appear to have much in common! As an historian of Welsh medical history it’s not often that I can make grandiose claims about Welsh practitioners. One of my colleagues once suggested that Galen was actually a mistranscription and that the supposed Graeco-Roman physician was actually G. Allen from Cardiff. Wales, and not ancient Greece, in his view, was the true seat of medical knowledge. With the subject of this post, however, Wales (and Welsh medicine) can lay claim to an important figure in the early history of the United States – Thomas Wynne of Ysceifiog, Flintshire. Wynne was born in 1627 in Bron Vadog in the parish of Ysceifiog in North Wales, the son of a freeholder. Details of his early life are sometimes obscure. It seems that his father died when he was 11 and that, sometime after that, and perhaps even affected by it, his religious views began to shift. In the religious turmoil of the 1640s (this was the decade of the English Civil Wars and the ‘world turned upside down) he became increasingly dissatisfied with the poor quality of religious teaching. He felt that those responsible for his spiritual welfare were “of low degree” and had let him down. He was, as he later wrote, spiritually “at the mercy of the wolf”. Matters came to a head in the 1650s when he underwent a profound religious experience. As he later wrote: “the heavenly power wounded as a sword, it smote like a hammer at the whole body of sin, and it my bowels it burned like fire”. Wynne had become a Quaker – and was one of the earliest and staunchest members of the Welsh Society of Friends. 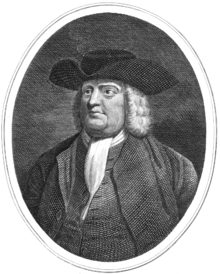 He wrote pamphlets including The Antiquity of the Quakers Proved out of the Scriptures of Truth…in 1677, and was imprisoned for his Quaker beliefs. It was the persecution of the Quakers in seventeenth-century Britain that led to their search for a new land that offered peaceful settlement and the opportunity to set up a community of like-minded individuals. When William Penn was given a grant of land by Charles II in 1681, Thomas Wynne was one of twelve individuals who formed a committee to meet Penn in London. Along with John ap John of Llangollen, Wynne took up a patent for 5000 acres of land in Pennsylvania, for which he paid £100, and reputedly built one of the first brick houses in Philadelphia. How did Wynne’s medical practices colour his life both in Wales and America? It is possible to piece together something of his medical life from a collection of sources – perhaps most important of which is his own testimony. This quote from Wynne is reproduced from John Cule’s Wales and Medicine (1973). “My genious from a child did lead me to surgery, insomuch that before I was ten years old, I several times over-ran my school and home when I heard of anyone’s being wounded or hurt, and used all my endeavours to see Fractures and Dislocations reduced and wounds dressed…my parents thought they had lost me forever for which I received severe correction. My Father died before I was eleaven years old and my Mother [was] not able to produce so great a sum as to set me to chirurgery…until I became acquainted with an honest friend, and good artist in Chyrurgery whose name was Richard Moore of Salop, who seeing my forwardnesse to Chyrurgery, did further me in it”. By the completion of his training he was regarded as an expert “in the use of the Plaister Box and Salvatory, the Trafine and Head Saw, the Amputation Saw, and the Catling, the Cautery, Sirring and Catheter”. Richard Moore, from whom Wynne learned his trade, was a surgeon and fellow Quaker. He was originally from Shrewsbury and clearly regarded him highly enough to apprentice his own son Mordecai to Wynne to learn the craft of surgery. Wynne’s was a typical story of ‘on-the-job’ training, familiar to many families of rural areas. Unable to afford the large sums needed to fund a university education, Wynne was fortunate in finding a sympathetic teacher with whom he seems to have undergone an ad-hoc apprenticeship. Describing himself as “an expert in Drills and handy in Knife and Lancet” he constructed a model skeleton of a man. Despite the fact that his studies were interrupted for nearly six years by his imprisonment, his skill in physic was enough to be considered sufficient to obtain a medical licence, although there is no evidence to suggest that he did so. Licensing in Wales was increasing by the end of the seventeenth century, but many Welsh practitioners simply didn’t see the need since the attainment of a licence was not especially valued by ‘ordinary’ people, and the lack of others with licences didn’t engender the need to get one to compete. Where exactly Wynne practised medicine is unclear. He is reported as a ‘practitioner in physic” in London for a time. Peter Elmer also suggests that he may be the same Thomas Wynne who served as a surgeon’s mate to one Walter Thompson among English forces in Scotland in 1651. It is also clear that his pamphleteering didn’t always win him friends. In answer to The Antiquity of the Quakers Proved, one William Jones accused Wynne of being “ignorant in his very trade of Quack-Chyrurgery”. Once settled in Pennsylvania Wynne became an important figure. He bought and erected property in Philadelphia and took several office-holding positions including speaker of the first two Pennsylvania Assemblies and a Justice of the Peace, but ultimately living in America for only nine years. He is buried in the Friends’ burial ground at Duckett’s Farm, Philadelphia. And so it was that the boy from the tiny parish of Ysceifiog rose to prominence in the nascent American colonies. As a Welsh medical practitioner of note Wynne is remarkable enough; but as an early Welsh progenitor of a global superpower he is a figure of great historical importance. Next > Finding medical practitioners in early-modern Britain. A post about one of Wales’ early medical pioneers.